Russia is the largest seller of oil to both Europe and China. An analyst interviewed by RT has said that shipping more crude to Asia can be regarded as a defensive mechanism in the time of Western sanctions. “Given the current geopolitical conditions, the shift towards China from Europe is a protective measure. This shift in oil trade allows the Russian Federation to some extent to secure the oil industry from the sanctions of the West,” said Anton Pokatovich, chief analyst of Binbank. The Chinese economy has been developing at a high pace, and selling more oil is also profitable for economic reasons as well, the analyst explains. China is the largest buyer of oil, and has been increasing its imports. “This perspective makes the Chinese energy market one of the most desired for Russian exporters,” he told RT. Russia supplied 5.052 million tons, or 1.32 million barrels per day (bpd), to China in February – up 17.8 percent from a year earlier. 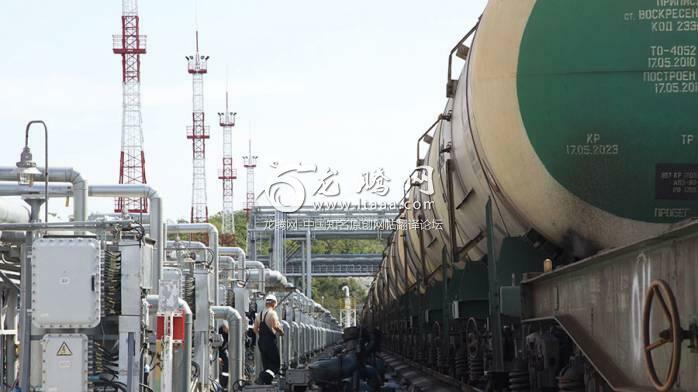 The increase in volume happened as a result of a second Sino-Russian oil pipeline, which began operations on January 1. It doubled China’s capacity to pump oil from the East Siberia-Pacific Ocean (ESPO) system. ESPO connects Russia and China with a direct pipeline. With the launch of oil futures in renminbi, both China and Russia have said they could reduce the use of the US dollar in oil trade. makes no senses to trade in a hostile environment..let the EU pay through the nose for US oil and gas..
Oh yes. Contrary to EU Beijing doesn't dance to the US tune. China is NO Iraq, Libya, Serbia or Iraq !!!!!!!!!!!!!!!!! China is paying in $. Or not? That's only one part of it. EU - subservient to the US imperialism, China - not. That is the math that counts in my view. No math there. China imports most of LNG from US and Arabs. RU is no3 supplier. China holds US LNG imports as a pivot point, to counter US geopolitical behaviour. Are you getting your facts from Reuters or CNN? Now lets examine a bit here, if China no longer accepts the US dollar, how is China positioned as the big importer of US LNG? Way to go, Russia! How long did the EU and US expect to get their way after the unfounded allegations they're throwing around? Now EU can nicely go and diversify sources of oil. UK is going to be shivering come next winter. Of course, the rulers won't be cold. European puppets have deserved to freeze to death. They have been so unfreindly to such a reliable trade partner as Russia. Good for Rsia. Rsia and China should team up with nonaligned countries, Iran, Venezuela, Bolivia,...... and create their own market and asset-based currency. They should stop calling the Western zio-puppet countries "partners." Yes Russians... DO NOT TRUST the Europeans (I live in Europe!!!). After all this part of "Europe" have always tried to invade you guys! ...the more Europe become a puppet of USA, the more an more irrelevant they become. Rossiya will continue to be largest (By far) inergy suplier to EU, but its primary market and partners will be China and others in Asia. The future of the planet is based in china and india...3 billion people living there, thats the half of the human race. Booth nations have a steady grow rate, and are leading in production and computer tech, and booth work hard on electronic mobility and green energy production, as it is important for them to survive. Is that good, or bad...no it is irrelevant as it is a fact, a minority will never rule the world. Well done BRICS group of nation, you are the future. Whilst the lying western countries like uk_bigotryland & usa_fascism_inc are in clear decline. Economic preference is not unusual but in this case its more about Europe losing reliable partners. Good for Russia. But, be wary of the Chinese. They like to steal technology for copy and re-engineering. Then sell their knock offs to Muslims terrorist countries. Because nobody else will buy it. Keep the same restriction on them, when they bought SU-35. China is the new platform for the international bankers who is trying to impose a New world order. To do that they first need to destroy the US. Thats why they are moving all the factories and jobs from US to China to destroy the backbone of the US, the middle class. The Chinese are not smart enough to dislodge the US. There is only one world order and that is the US. Companies and Business are in China for a business stand point and that's about it. Lots of them are not doing it or they are leaving China. China lacks the ability to create or innovate, and cannot create a new world order. They have nothing..
Chinese are building a space station, have icbms for a long time, jumped to second richest market in a decade, sent a guy into space. While in Austin, for example, the homeless population doubled! Made in China.. When it's all done and working or they are doing something beneficial for the world, would nice. The great American middle class strung out on opiates and Cheetos flocking to Walmart to buy all the made in China thingies.